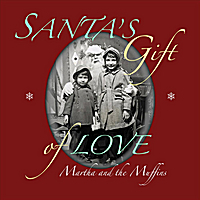 An original Christmas song featuring acoustic guitar and cello that reminds us that love is the best gift to give. "I was flying home from Los Angeles to Toronto one November day when I looked out my window to see a landscape below so grand and overwhelmingly beautiful, it took my breath away. I was truly amazed by the sight of the Grand Canyon that all too quickly faded from my view. I closed my eyes and looked forward to being greeted by my family when I reached my destination. I'd be landing into love. All these emotions led me to start writing this song as I flew the rest of the way home."